What was I saying again? Oh yeah… so, I read this book, and it was pretty cute. 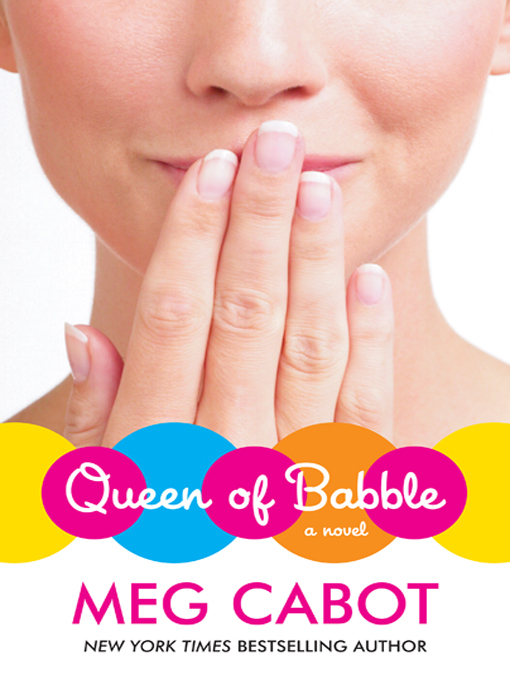 Meg Cabot is the woman who brought the world The Princess Diaries – which I haven’t read – as well as a whole shelf of popular adult books. I love her characters. She sculpts these people out of her words (sometimes restricting herself to entire books full of emails and text messages) that are completely real and believable. The only flaw in her fantastic character development seems to be a convenient tendency to jump to utterly ridiculous conclusions, but after all, romantic comedies are made of these. I’m doubly excited about finishing this book. First, there’s the whole “I finished a book” thing – I’ve been kind of bad about starting-without-finishing lately. But more importantly, now that I’ve finished Babble I can start Old School. Stay tuned for a review. One of the bloggers I read posted a challenge to write about what freedom meant to us. I wasn’t feeling the whole “essay” thing, but for some reason the “write and share a bit of fiction” bug bit. (This doesn’t happen often.) The following is what I posted; it’s a snippet of a larger work that I’m playing around with, and this bit talks about one kind of freedom. If you read, let me know what you think about the reading level. I’m aiming for about the Narnia level of difficulty, but I think I’m overshooting. Kadiron wasn’t young, but she had become beautiful with age – softer, and interesting, like good leather. Avery couldn’t help but stare at her, even knowing how rude it must be. Could this really be the woman they had spoken of? Finally, the question overcame her and she spoke. The woman looked up, but not at Avery – into the flames in the stove. A moment passed before she spoke. Avery didn’t respond, hoping that Kadiron would continue on her own; after a long moment, she did. “You are very young, and have lived a good life, so perhaps you do not know how war is. If so, we should both be glad. “The times of the uprising were very bad, and when the Tiurni asked me to lead them into battle I agreed, because to decline would be tantamount to murder. They trained and prepared as best they could, and then one morning they put their back to the forest and took sword. Retaliation was swift and vicious, but the Elom’s desire to rule could not overcome the Tiurni’s desire for liberty. From the first light of dawn until the last light of dusk, we struggled and slayed one another. Understand, child, that this was not my first battle. By the time I took sword for the Forest, I had seen enough warfare to last any soul a thousand years. Because of my experiences, I knew that we might prevail. I knew, too, that we might not. That is the nature of war. “At the end of the day, when the fighting was at last over, I found myself alone at the top of a ridge above the Forest – a bowl of darkness. For a few moments I stood there, listening so hard that my heart came out my ears, waiting for my next opponent. None came, and I knew then that no more would come. I let myself relax for the first time in a full day, let my blood begin to cool. I drove the tip of my sword into the soil, and the sound of dirt sliding around the blade told me that it was by the far the cleanest thing the steel had touched that day. “I knew not to think about it. If I started thinking about the past hours, I would soon be reliving them – without the benefit of adrenaline to stave off the nausea. I would relive it all.” Kadiron looked Avery straight in the eyes. “The first heat of splashed blood. The howls of pain and the sound of sword on sword – the sound of sword on, and through, flesh. The surreality of sudden disanimation when someone is alive before you and then is dead in an instant. When your blood cools, these things that you did to save yourself, these things that you had no time to consider, seem harder, less defensible. “So instead of thinking about it, I turned my back – not all the way, you cannot be too wary – on the Forest and gazed out at the invisible horizon. Behind the night I knew there were mountains, and in those mountains there were… sun-dappled meadows, and springs that are reborn every year, and places where a woman might build a small cottage and spend the rest of her days cooking soup and reading books that know nothing of war. I thought about building a fire in the stove and warming my feet, as a soft rain fell outside and washed the stains off of the world. “Beyond the mountains, I knew there was ocean – water stretching to consume the world, and a ship. Maybe the Ocelot would not take me back, not right away, but I could pay my way to Rutiana Island, and then it would be only a matter of time before the Intrepid would come to port. I knew I would have a stretch of deck on the Intrepid, and I thought about the smell of the sea and the salt air on my face. It was a life of the sword that I was imagining, to be certain, but only if one failed to steer for open waters…. “And beyond the ocean, child, I knew there was a new world. A world that no one knew. A world with people who would know me as just another woman, a stranger, no leader, not their protector. Not a hero. “I remember touching my garments. They were as stiff and dark as my leather armor, so soaked they were with blood. I knew that my face and hair were stained with gore. A breeze swept over the ridge, and for the first time since midday my nostrils cleared and I could smell the stench of massacre on me. And at that moment I envisioned myself back in a clearing, early that morning, when I had gotten careless and almost lost my head to a rear ambush. Ice shot down my spine. Bile. I didn’t even realize that I had taken two steps toward the mountain until I half-tripped on a stone and was jolted back to myself.